If you are not a big German Shepherd breed expert, you may think a German Shepherd is a German Shepherd. But there are actually three breed lines of German Shepherd. In speaking of a German Shepherd dogs, we are talking about the black and tan, short-coated dogs with short coats and pointed ears, that are commonly used in the police and military, as well as by people needing a good service dog for guiding or other assistance. Within that main breed of German Shepherds, you will find the international working lines, international show lines, and North American show lines. International working lines of German Shepherds are not bred for showing, which means that they are not bred so much for appearance, as for their ability to work and perform tasks. These lines are bred for intelligence, obedience and temperament, which are the three most important traits in a working dog. These are the dogs that commonly work in military or police units or as service dogs. International show lines are bred for appearance, and are bred to meet show standards. These standards can be very strict, and German Shepherds have been bred to these standards for many years. Thus, dogs bred for the international show lines all tend to look very similar to each other, though their markings and appearance do vary by dog, of course. North American show lines are also bred for appearance, and also bred for shows, but they have a different appearance than the international show dogs, because the standards are different. North American show German Shepherds are bred for sloped backs and sharp angulation of the hock joint, which are very different from the international standards. Obviously, if you are planning to buy a puppy for showing, you will want to work with a breeder who breeds German Shepherds in the show line in your region, either international or North American. You will want to talk with the breeder about your show experience and plans, so that they can help you choose the best pup for your needs, and the most likely to be a good show dog. On the other hand, if you are looking for a companion animal or a working dog, your best choice would be to work with a breeder who breeds the international working line, because these dogs are more likely to have the temperament, intelligence and willingness to obey that you want in a pet. While show dogs have all these qualities, working dogs are bred more for these qualities than for appearance, so they are more suited to working and companion situations. If you have a pet German Shepherd, you may be able to find out from a local breed club which line he probably belongs to. 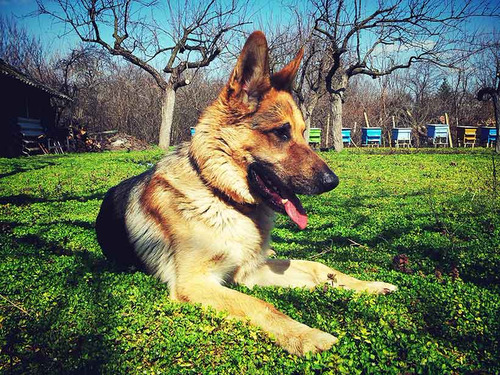 The important thing about your pet, though, is that he is your companion and you love him and he loves you, so it doesn't matter so much what Type of German Shepherd he is. This is more important in choosing a puppy for a particular role in your life. Here is a list of most trainable dogs only for you. Hope you like that as too.